Is employee engagement relevant in today‘s workforce? Earlier this week I wrote the first part of this blog relating to Employee Engagement. In part two I examine some of the leadership themes, highlights and a few statistics supporting the relevance and importance of engaging employees. A leader‘s ability to consistently demonstrate and apply relational skills has a direct correlation to the level of engagement an individual may feel. Providing genuine leadership is key. There appears to be a gap between what employees state is occurring and what leaders feel they are applying in reality. Data and surveys continually reflect the discrepancy between what leaders believe is occurring and what their team members state. This is often reflected in frequency and quality of the levels of engagement through formal and informal communication, coaching and development opportunities. In addition to my own research and observations, it is of interest to understand the core reasons a breakdown in relationships and engagement between an employee and manager occurs. Of relevance to this discussion is the recent study that showed organisations were falling short when it came to ‘preparing‘ employees for leadership. The question of sustainable leadership was raised – if we are not preparing our leaders to be good managers then we are not creating good role models for future leaders and so the cycle (of poor management) continues. This research shows most people leave a job because of their relationship with their immediate manager. An unwillingness or inability to delegate effectively – be willing to take on tasks yourself otherwise don‘t delegate – you don‘t want to be seen as a ‘shirker‘. Inconsistent language and messages – your team members will see and take note of some of what you say and all that you do! A need to be liked rather than respected. An inability to communicate effectively – this has an alignment to making too many assumptions without ‘checking in‘. 1. Know yourself and seek self-improvement – in order to know yourself, you have to understand your ‘be, know, and do’ attributes. Seeking self-improvement means continually strengthening your attributes. This can be accomplished through self-study, formal classes, reflection, and interacting with others. 2. Be technically proficient – as a leader, you must know your job and have a solid familiarity with your employees tasks. 3. Seek responsibility and take responsibility for your actions – search for ways to guide your organization to new heights. And when things go wrong, they always do sooner or later — do not blame others. Analyze the situation, take corrective action, and move on to the next challenge. 4. Make sound & timely decisions – use good problem solving, decision making and planning tools. 5. Set the example – be a good role model for your employees. They must not only hear what they are expected to do, but also see. We must become the change we want to see – Mahatma Gandhi. 6. Know your people and look out for their well-being – know human nature and the importance of sincerely caring for your workers. 7. Keep your workers informed – know how to communicate with not only them, but also seniors and other key people. 8. Develop a sense of responsibility in your workers – help to develop good character traits that will help them carry out their professional responsibilities. 9. Ensure that tasks are understood, supervised, and accomplished – communication is the key to this responsibility. 10. Train as a team – although many so called leaders call their organization, department, section, etc. a team; they are not really teams…they are just a group of people doing their jobs. An honest self-appraisal and dedicating time and effort to developing self-awareness traits can be one of the most challenging aspects of leading people. The alternative is to assume, act in denial of circumstance, work in isolation or not build a genuine connection with your team and the individuals who form this unit. This style of leadership will not enhance employee engagement. If employee engagement is so closely linked to leadership and these principles are arguably not revolutionary concepts, why is there such disparity between what leaders and employees say is actually happening in the workplace? Could it be that we overemphasise how well and often we apply these principles in reality and/or underemphasise their importance? 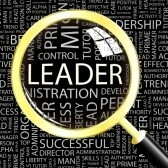 Leadership is not easy – and neither is dealing with the many people-related issues and challenges that arise. Through managing these issues and assessing your leadership strengths and development areas regularly and taking appropriate action, your team will see that you are committed to your role and to your people. Although not the only aspect of effective leadership, a focus on your employees and understanding what motivates each person is a solid base to work from. When aligned with an attitude to grow as a leader (not simply being a ‘manager‘) the related success, joy and fulfillment that derive from this transformation can be one of the most rewarding aspects of your work-life. Food for thought for those in charge, as effective leaders continually review their own situation and progress and take appropriate action to ensure the perceived or real gaps are reduced or removed. This is worth considering as an employee, as a leader or your role as both. What does this mean for you? This entry was posted in Employee Engagement, Leadership and tagged Business, Education and Training, Employee Engagement, Employment, Human resources, Leadership, Management, Organization. Bookmark the permalink.